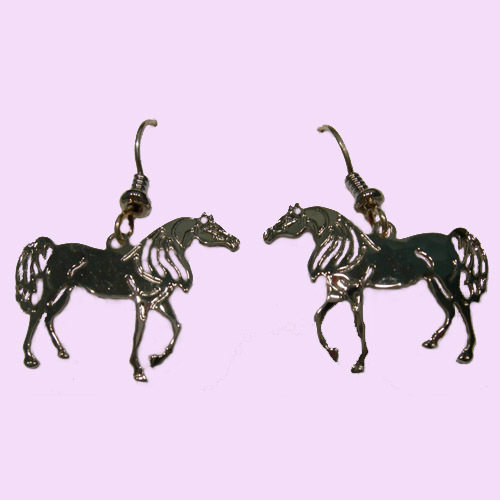 Desc: Rhodium plated Arabian Horse dangle earrings. The Arabian horses are trotting. The bodies of the horses have a light hammered finish. The French wires are sterling silver. These earrings are also available in 14 karat yellow gold plated or as a Rhodium plated or 14 karat yellow gold plated necklace. Contact us for details.